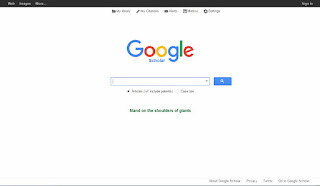 Google Scholar was launched in 2004 and is a Google product based on the same search technology. This means that even in Scholar, content is automatically captured and indexed using crawling. Google also has licenses for a wide range of publishing services, which are also crawled by Google Scholar and integrated into the index. In addition, it developed its own autonomous citation index, which also flows into the ranking and thus optimises the relevance of the results. Anurag Acharya, whose original idea was to improve the ranking of scientific documents within the Google search engine, is regarded as the initiator and main developer of Google Scholar. From user queries, Google knew that scientific queries also came from users. In contrast to specialized databases, which have sorted their content primarily by publication date (newest first), Google Scholar offers a relevance ranking, which is based on a full text analysis and the inclusion of the special features of scientific documents (citations). Within the first five years, the search engine was offered as a so-called beta version. 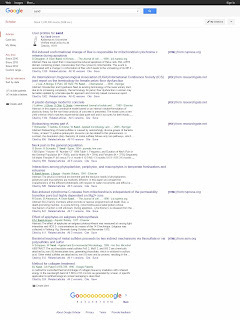 Google Scholar is freely available and is offered in numerous languages. In addition to articles, books and other sources are also included. Scholar's high update rate enables the search engine to quickly record new publications (mostly as preprints). Since 2011, the authors themselves can create a profile and since 2012, measurements are offered for journal evaluation. Scholar collects scientific literature from the web and through contracts with scientific publishers, also content that is not freely available on the web. Scholar supports metadata formats such as HighWire Press, EPrints, BE Press or PRISM tags for crawled content on the web. The metadata is integrated into the index using parsers. In addition to publisher content, Scholar integrates Google services such as Google Books or Google Patents, content from thematic and institutional repositories, and bibliographic services. Documents without metadata can also be captured. However, not all content is taken into account, but those that are recognized as scientific literature. According to Google Scholar, the documents must be in PDF format, the single title must be followed by the author's name, and a bibliography and an abstract must be included. Documents that are larger than 5MB, such as books or dissertations, are not included by Scholar, but can be uploaded to Google Books. The requirements defined by Scholar have established themselves with the providers of scientific information and can be seen as "quasi standards" for the integration in scientific search engines. 2004 - [...] Google Inc.